NEW IN 2019: MICRO PACK AVAILABLE IN MIN. 3 MONTH CONTRACT ONLY. Three month contracts on small monthly lead volumes are part of our new Rewards Club program. Please download the Rewards Club Info Pack to find out more. Need mortgage broker leads in a hurry? Our ‘pay as you go’ lead generation subscription is the answer. Wealthify has put all the pieces together, and will manage the entire lead generation process for you as a subscription service. With our MICRO Pack you’ll get mortgage broker leads generated in the name of your business, delivered straight to your inbox! In our experience, mortgage brokers are good at writing loans but most struggle with the skills required to generate home loan leads. It’s no wonder then that most brokers who have a go themselves fail, then give up in frustration unable to pinpoint why. I’ve had an excellent experience so far with Wealthify lead generation. The guys are good to deal with .. and fast .. 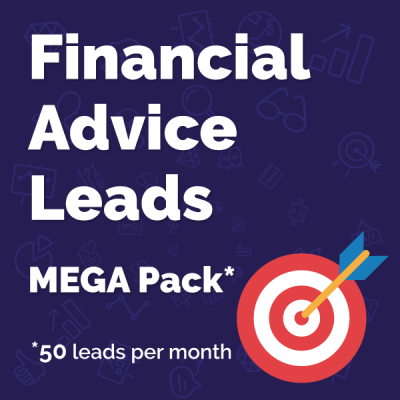 I got my quota of mortgage leads in 2 weeks and they also gave me extra free leads. The lead quality has met expectations and i have had good coaching support around how to convert my mortgage leads to appointment. So yes I’m very happy to recommend this lead generation to other mortgage brokers.